I wanted to change something up, do a twist of someone that I like. 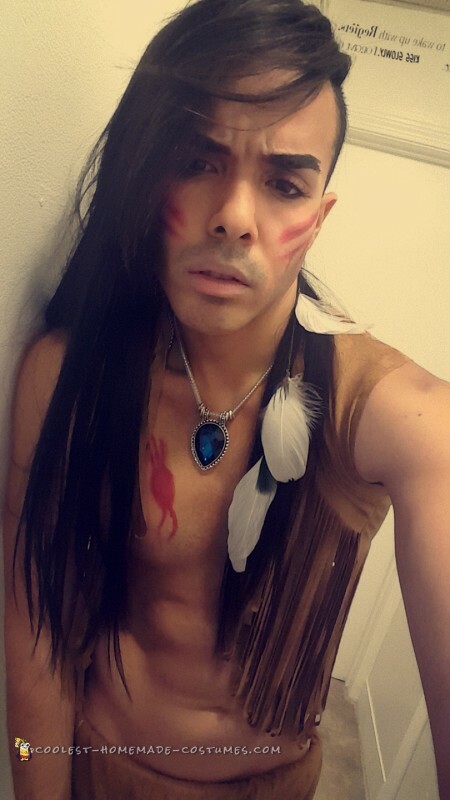 When I was little the movie of Pocahontas didn’t really get that famous but I wanted to bring her out as a guy version. 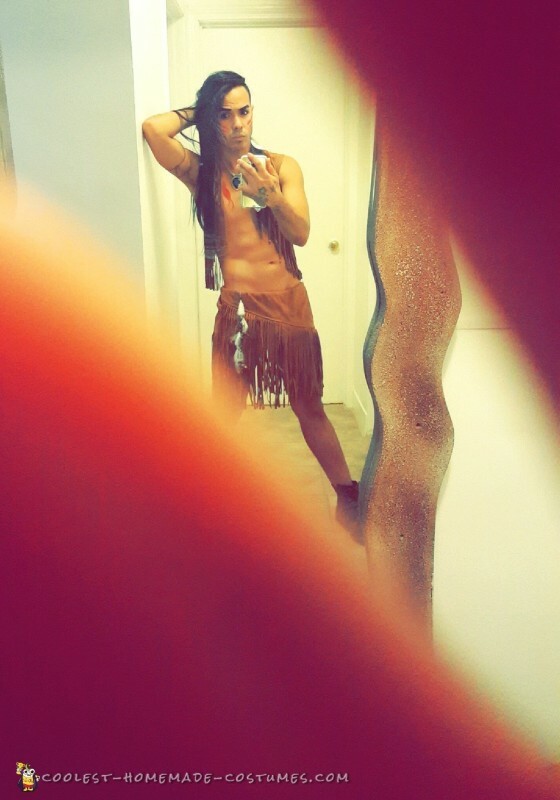 People will ask ‘is that Pocahontas as a guy”… and they where right. This was the feeling I wanted to get from them. 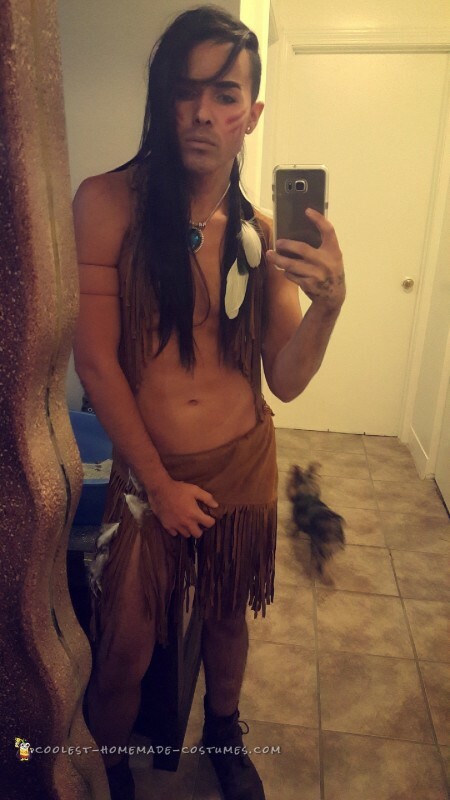 The guy version Pocahontas costume came out great and I think I pulled it off really good. When I went to the club the club owner saw me and she was like “You are gonna be the winner! You had the balls to come like this in this cold!”. I did end up winning which was pretty cool.